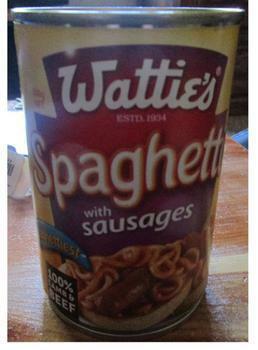 Kiwi Care Package Company of South Tahoe, Calif., is recalling approximately 90 pounds of Wattie’s canned spaghetti with sausage. The product was not presented at the U.S. point of entry for inspection. Without the benefit of full inspection, a possibility of adverse health consequences exists. Additionally, it was determined that the product was not produced by an establishment in New Zealand eligible to export to the U.S. The recalled products, bearing New Zealand establishment number “PH233,” was sold through the internet. Consumers with questions about the recall may contact Katie Joll by email at info@kiwicarepackage.com.